Includes unlimited streaming of glyk via the free Bandcamp app, plus high-quality download in MP3, FLAC and more. studied classical guitar in Essen, Vienna and Karlsruhe. Since few years he is concentrated on improvisation and electronics. 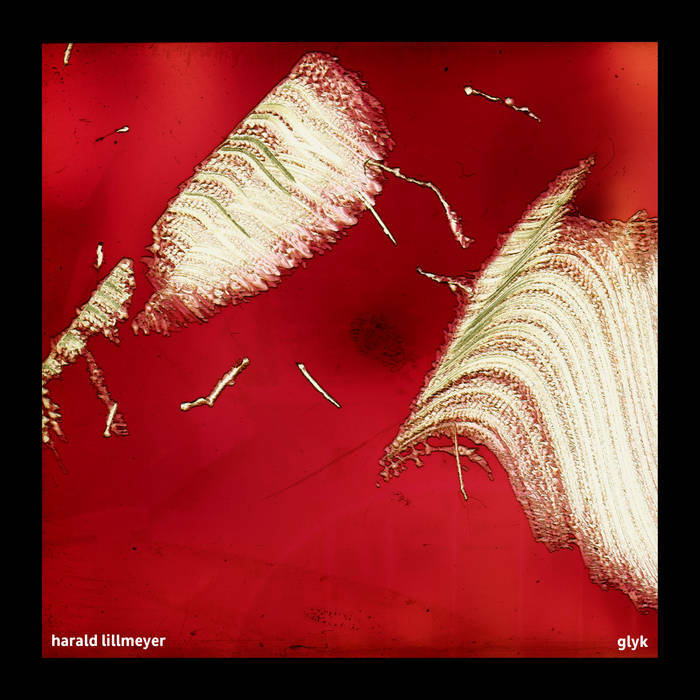 "glyk", his first live solo-release, was performed on 12.12.2015 @ experimentelle musik münchen and refers to the music of a friend who has passed away. I am not entirely sure about what is occurring in Germany, but thanks to labels like Attenuation Circuit, Germany is becoming more of an over-looked, under-appreciated focal point of great experimental/noise artists. While Japan still appears to be the center of common thought that it’s the best home for noise, people need to take note about what is occurring in the subterranean levels of Germany. Today we make you aware of an interesting experimental recording from Harald Lillmeyer titled Glyk. Glyk is one long piece clocking in at exactly 20 minutes. According to the artist, “glyk” in old German means “the way something ends.” This is in reference to the friend who passed away (noted above). Some of the tools that were used in this recording include music samples from the aforementioned friend, loop stations, split-effects, an altered or destroyed guitar multi-effects unit and two fuzz effects. As was the case in the previous review, some of the more effective moments in the recording are when the noise turns to dead silence, leaving a very uncomfortable feeling yet with anticipation of what noise or sound is to appear next. Two other composers who have mastered that are Guillermo Pizzaro and Rudolf Eb.er. Otherwise, another effective element of this recording is the mix. This leaves the occasional uncomfortable minimal crackling sounds in the forefront and the drone/ambient element in the back. Perhaps this is speculation on my part or a subconscious occurrence on the part of Mr. Lillmeyer, but could this sense of immediate discomfort be paralleled with the loss of his good friend? As anyone who has ever lost someone close knows, the pain of loss is always nearest to our hearts and minds. Glyk begins with a couple of quick ambient noise loops and the dead silence moments as I mentioned. Then we hear some moments with Paganini-style violin, some vacuous black ambiance and reverberated industrial stomps. At around 2:00 begin the crackling sounds I mentioned above followed by sounds of creaking metal doors moving. Some more moments between the crackling noises and dead silence follow then. 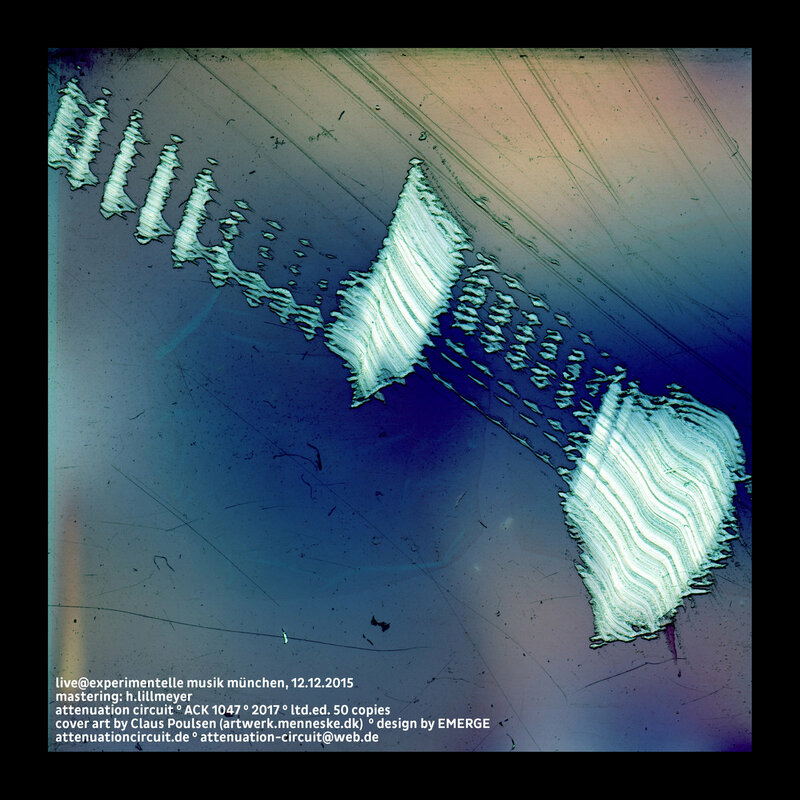 Without analyzing the full 20 minute piece, other parts we hear later in the recording include harsh industrial noise hits, deep and distant ambient backing, a harsh drill-sound wall(around 13:00), various noises, hits and statics. Again he makes the effective use of silent moments. These can be just as disruptive as the harshest moments. I can’t stress enough the effect and importance of the silence dynamic vs. the harshest of noises. That’s why we listen to experimental/noise in the first place, right? Dynamics. Not only can noise elements be “cut-up” (as opposed to noise “walls”) but in this case the artists actually cuts up the recording. But are the moments of silence for his friend? Or are they purely a recording technique? Either way, they work. Anyway, this is a pretty interesting recording and I’m looking forward to what Mr. Lillmeyer does next. Whatever it is… it seems likely to be a part of this wave of unique artists in underground Germany. The next new release is even a bit shorter than Marrach and his chums, a live recording one Harald Lillmeyer made in December last in Munich. He studied classical guitar but works within improvisation and electronics. The title refers to a friend who passed away. What these electronics are I don’t know, but I would think Lillmeyer loves his cassette Walkman devices, Dictaphones, contact microphones and perhaps circuit boards. What I particular like about this recording is that there is quite a bit of silence in this music, and suspicious as I am, I would not be surprised that these silences were built in later on, or perhaps really silenced afterwards. Lillmeyer plays a collage like piece, which reminded me of the early SBOTHI LP; only a few days ago I heard that one again, and Lillmeyer’s collage like approach sounded very much like that. Quite noisy at times, with massive distorted sounds of heavy radio waves, there are also orchestral interjections, sudden stops, scratches and peeps. Easily all of this is followed by quite a bit of silence. An excellent release, even when I suspect not all of this to be really ‘live’. A beautiful release and it made me curious to whatever else he did. HARALD LILLMEYER, JetzMusik-renommierter Partner von Sascha Stadlmeier bei "Zwie-Spalt", kehrt wieder mit Glyk (ACK 1047, CD-R), granulare 20 Minuten, die in ihrem schiefrigen Splittern, stillen Verharren, rostigen Scharren, impulsiven Rauschen, zwitschernden Glitchen nur schwer erkennen lassen, ob da noch eine Go Guitars Gitarre im Spiel ist. Hier liefert er nach, was alle Musiken, die er als Neue, vielen viel zu Neue, gepielt hat, per definitionem verdrängt und verfemt - auch Lachenmann bleibt da vergleichsweise zaghaft.